Become the talk of the neighborhood with our synthetic grass putting greens for your Hawaii home! 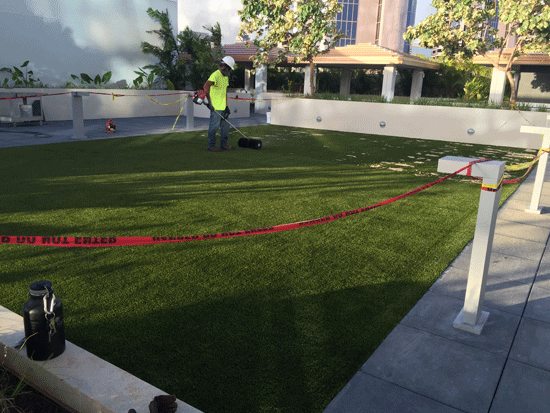 When a person thinks of artificial grass, they usually think of the more traditional turf applications, such as backyards, large outdoor lawns for golf courses or commercial buildings, pet turf, and other such uses. However, here at Southwest Greens, we pride ourselves on our creative thinking and have some outside-the-box uses for artificial grass. 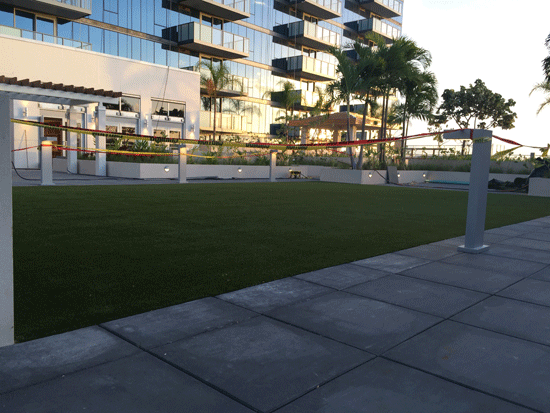 Throughout Hawaii, you can enjoy putting greens on your very own patio, deck or even rooftop! Rooftop lawns and gardens are becoming increasingly popular, but natural grass is often heavy due to the sod required, and not all roofs can support the weight. That’s where synthetic grass comes to the rescue! Lightweight, easy to maintain, and green all year-round, artificial grass is the perfect way to maximize the usable space of your rooftop. You can even turn your Hawaii home rooftop into a putting green or miniature golf course and play at your leisure. Our realistic artificial turf is more affordable and practical than other patio and deck surfaces and materials, making it the perfect solution for homeowners who want to add a little something to their deck or patio. Be the envy of your neighbors as you enjoy a relaxing putting game on your patio with high-quality artificial grass that looks, feels, and plays just like the real thing but with far less maintenance! Using the finest synthetics on the market, our artificial putting greens play just like the pro courses, allowing you to practice and perfect your putting game in the comfort of your own home. Hawaii putting greens are our specialty, and our synthetic turf is of the highest quality, so you can rest assured in the knowledge that you’re getting a product to last for years to come. If you’re ready to make the most of your deck, patio or rooftop with our artificial grass putting greens, then don’t wait another minute! Join the ranks of such prestigious clients as the Westin Maui Resort & Spa and Marriot hotels. Call us or fill out our online contact form today and get a consultation absolutely FREE!